Amelia, meet your little brother Owen. Owen, meet your sister Amelia. Oh wait, you’ve already met her before you were born, haven’t you? 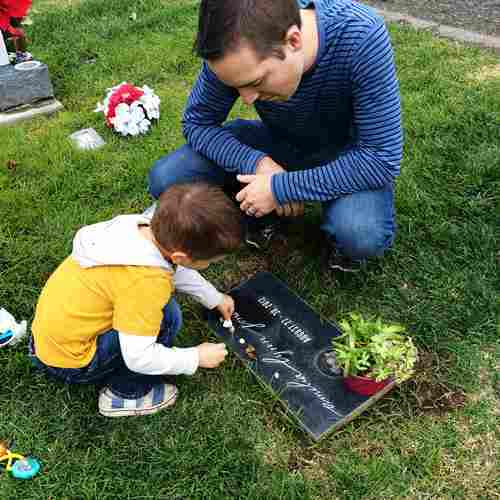 It’s a weird feeling, bringing your new baby to visit your dead baby. I don’t know if it’s bittersweet or happy or what. But I realized that it isn’t as painful to visit her when I have a new babe in my arms. It broke me a little when I was newly pregnant and leaving her to move to San Diego last year, but now that Owen is here that pain has subsided. I don’t wish she were here instead of Owen anymore. 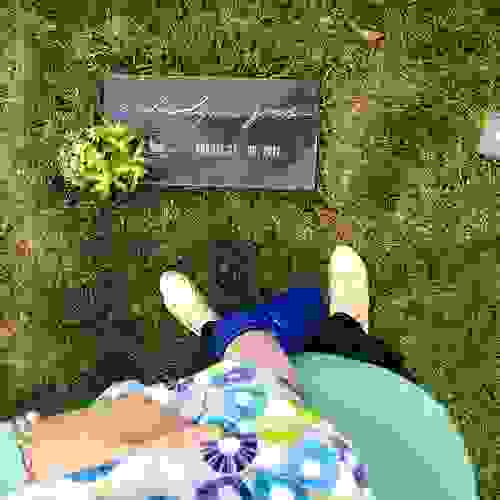 I didn’t go to the cemetery with the same family she left us with. I haven’t forgotten her, but we’ve learned to live life without her. I still think about you, Amelia. Every single day when I load the boys up in the car, I think to myself, “there should be a third carseat back here.” But there isn’t. And every time I see a little toddler girl with blonde curls, I picture you in our family. I think of the pictures you would have drawn me and the dolls we would have had around the house among the cars and airplanes. I think of you when I bathe the boys. I think of you when I do the laundry. I think of you when I learn more about albinism. And I think of you when I’m sitting in church. Miss you, Amelia, and all that you could have been. 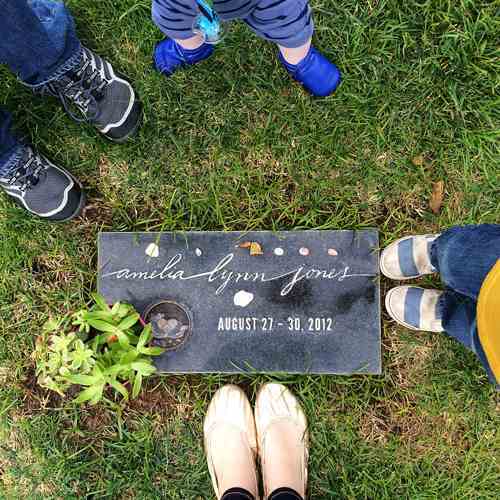 is it weird that i love the font on amelia’s grave marker?